Amazing 5 Bedroom Luxury Home! Built in 2017 this amazing 3,000 sq ft Luxury home features brand new everything! 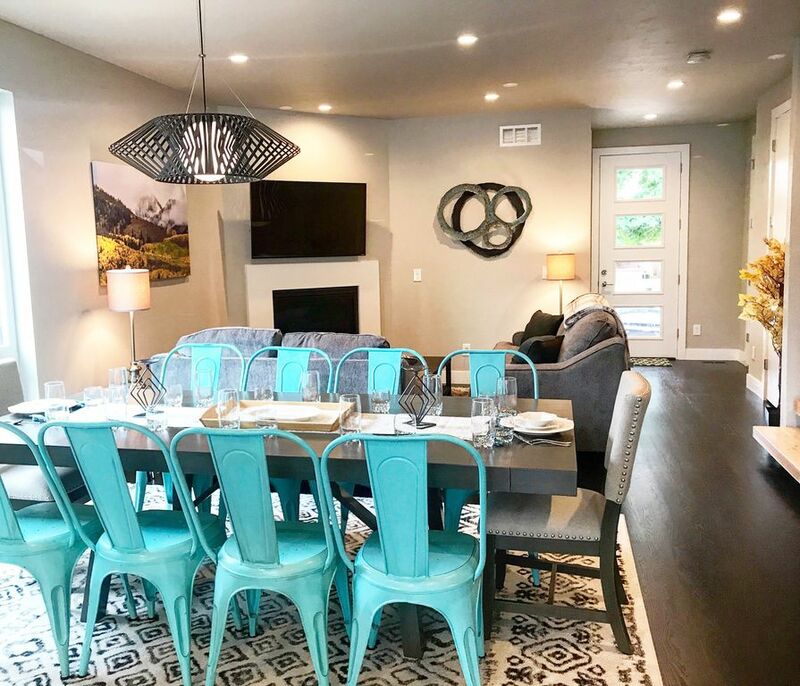 From new hotel grade Sealy Postrepedic pillow top mattresses, to a formal dining set for 12, this home will comfortably hold your small or large groups for any type of stay. Walk to Starbucks and Sloans Lake, or enjoy the amazing rooftop top patio and entertainment area with views of downtown. This home is great for a few people that want luxury privacy and space, or for the larger group that wants to travel together. The home has plenty privacy with 2 king size beds in seperate private suites, 2 queen size beds in private rooms, and the 5th room has full size bunks. The separate common areas have 2 large queen size pull out couches with upgraded mattresses and bedding. The 3rd floor is an huge rooftop entertainment area with downtown views. The gourmet kitchen has everything you need to make great meals for the group while enjoying the fireplace and 2 55 inch 4K HD TVs.